Why should we study death and afterlife? These days there’s a woo-woo expert on every corner, and most of them have either written books, gone into business as practitioners, or promoted themselves as teachers and speakers at gatherings around the world. Their wisdom is based on incredible experiences that gave them “knowing” instead of “accepting” when it comes to awareness of the afterlife and other levels of consciousness. They’ve seen the light, heard spirits speaking to them, gotten great hellos from heaven, been visited by master teachers, had access to spot-on mediums, watched UFOs hover overhead, or generally been swept up in a whole magical mystery tour. I personally have not had a conscious out-of-body experience or a near-death experience. I have not heard voices or seen spirits. Nothing so-called paranormal has happened to me. Producers of today’s trendy “spiritual” TV shows and literary agents looking for potential best-sellers would be thoroughly unimpressed with my history. So I am speaking here merely as a consumer… I am open to learning from others without having had personal experiences of book-worthy magnitude. I have always been fascinated with this stuff. Like a blind person, I depend on others to tell me what they have experienced as a way for me to decide what is real. So I would love to be exposed to anything that validates my intuition-based belief in the afterlife. I have studied the topic enough that I don’t need introductory explanations. I graduated from Afterlife 101 years ago, and I now want deeper insights. I have attended dozens of workshops and groups about consciousness, death, the afterlife, psychic development, inner healing, and academic research being done on these topics. But now I want to know more. And that got me thinking about the kind of content I would want to see in a conference of this type. What burning questions or unresolved issues do I have that would motivate me to spend the money on airfare, accommodation and conference tickets? 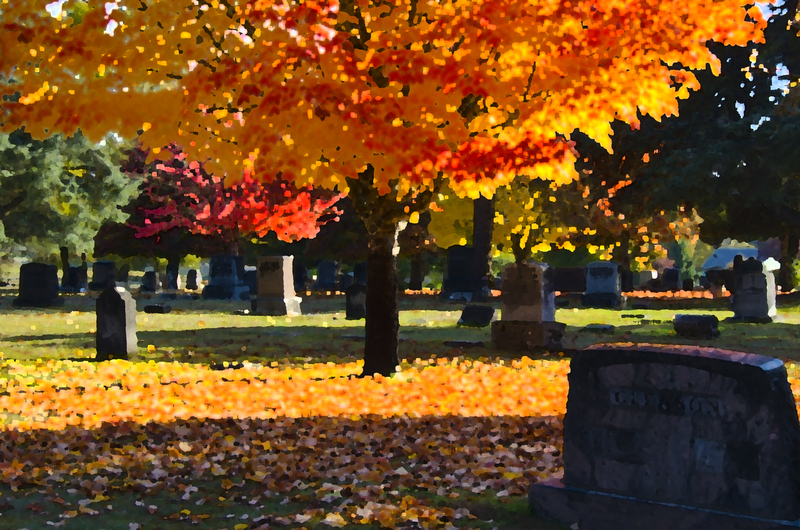 I invite you to consider these questions: Are you seeking validation that a deceased loved one still exists? Would you like some comfort knowing that you are not alone in having a certain spiritual or mystical experience? Have you read a ton of books on the subject, yet want to experience a more personally meaningful understanding? Does your career somehow involve death and dying? As I focus on today’s modern media culture (including marketing, marketing, marketing), I see how much we promote the fear of death, and it is more of an emotional manipulation than anything truly helpful. For most of my adult life, I have wondered what would happen to society if we all came to accept that death of the body is not death of consciousness. This of course presumes scientific breakthroughs proving that the human brain is not our primary consciousness-generator and that consciousness does not depend on a physical brain for life. When our body dies, the rest of us doesn’t die. If it proves true that there is no death (as every medium and psychic tells us), it means that many forces in our culture have been fictionalizing what death is. Afterlife studies constantly contradict the news media. We keep hearing how tragic, painful, and miserable death is — except from those who have been there through a near-death experience or as reported through an evidential medium. Witnessing my own mother and father die natural deaths at 92 and 95 respectively, I found their transitions to be very peaceful. It was much like a toy top spinning and then winding down until it simply stopped. Their transitions were nothing like the movies or the news depicted. How will society change when proof of the afterlife (or more accurately, the continuation of life) makes it too hard for the average person to believe the media culture version of death? How will the news media report deaths when death is seen as a transition to another place? How will our current myths generated by the fear of death change when death is better understood by more people? I think one great role for an afterlife conference is to work toward setting a standard for the good, truth-seeking mediums to follow. Let’s treat this with a little more academic-style scrutiny so that those of us who don’t hear voices can better trust those who do. I like to call this area of interest the “sociology of mediumship” — possibly even the future of death. What might a society look like when more mediums become accredited through some form of professional screening and are not so drawn into a celebrity culture? Right now certain mediums charge what I consider horrendous fees for readings — celebrity prices. They often build a clientele through standard marketing practices similar to showing off the next model of automobile at a car show. One medium I like on YouTube charges $500 an hour for a personal reading (my family’s trust attorney only charged $350 an hour). Granted, I think I would get more value from the medium, but still, it’s a hefty sum to pay, especially if the medium turns out to be a cheat. Prices are outrageous because much of this is not yet mainstream, and demand exceeds supply. Celebrity psychics and mediums are often treated like rock stars. They are often entertainers, so naturally the similarities to great magicians seems a little fishy. The less of a novelty talking to the dead becomes, the less the celebrity culture will prevail. Many mediums along with hypnotherapists doing past and between-life regression therapy are saying that we as souls choose many details of the lives we are about to incarnate into. Many so-called tragedies or conflicts were planned in advance as life lessons, they say. This is Earth School and we have work to do. (Check out the work of Robert Schwartz or Michael Newton). If this were accepted as real, it could revolutionize news reporting, health care, social services, political agendas, research and development, and the list goes on. It could also have a significant impact on religion, government spending, personal aspirations, and so on. Imagine trying to recruit soldiers and fund wars in a reality where death is only physical, not mental, and where killing is seen to have karmic consequences. Imagine the impact on the criminal justice system as well. Would we execute people if it was known that their minds don’t die? Would people commit as many crimes if they knew that there are personal consequences for harming others? So much of what happens in our world happens because people think they can get away with shady deals. Studying the afterlife is essentially studying a bigger picture of reality than mainstream society operates under. A high percentage of those who have near-death experiences come back radically changed in their ethics and values, which is a big clue that they experienced a big ah-ha. While this may sound like a religious point of view — don’t do bad things because cosmic security cameras are always rolling — afterlife researchers and mediums say there is no judgment in the afterlife except how we judge ourselves during life reviews. Still, everything we think or do is not secret, because we are all connected to each other, and every action prompts another action. Life plans and life reviews harken back to whether or not mediums, hypnotherapists, and even afterlife researchers are reliable resources. Afterlife conferences open doors to peer review and an opportunity to ask personally meaningful questions. They also provide a big picture view of what’s going on with research. The world is still stuck in the clutches of the fear of death. Afterlife studies offer a positive alternative view and prepare us for the probability that life continues. I am especially interested in exploring the paradigm shift that will occur as more people discover that death is a fiction. For now. I want to walk away from a conference with a little more confidence that I am not just being carried away with wishful thinking. Good essay, with many excellent points, particularly regarding the effects of a collective recognition of the soul’s journey! One suggestion if I may: so many are looking externally for what is actually only to be found internally. I say “internal”, not because there is some inside or outside of consciousness, but more a matter of where attention is directed. For those who wish for a direct experience of their “immortal spirit” nature, hearing the accounts of others is not going to satisfy, although it can help to establish confidence. What is really necessary is for one to turn their full attention around and discover the source of their own sense of self. It may begin with the question “Who am I?”, but does not stop with the intellect’s responses. The inquiry must go deeper than the conditioned verbal mind, right to the very source. This may take some time, and is not going to be an attractive option for those who would prefer week-end enlightenment, but for those who truly long to taste the essence, so to speak, there are no short cuts. I call it the conscious process of recognition and liberation, and discuss it at length on my blog of the same name, but the main point is, we need not be content with the menu, we are entitled to the whole meal, although it does require a commitment, like anything worthwhile. Bob, thank you for your comment. While I heartily agree with you about the importance of the inner journey for our personal growth, and chuckle with empathy at the concept of “weekend enlightenment,” I greatly appreciate the input I get at afterlife conferences. It, too, is a focusing tool. It is more data. The average person is bombarded with external negativity, so I actually think something contrary to mainstream gloom is good. For me personally, some external signs of afterlife help motivate my personal inner journey. So like you say, “hearing the accounts of others is not going to satisfy, although it can help to establish confidence.” Yes!